Coto de Caza has a terrific weather, warm throughout the year, and many homeowners enjoy it by maximizing the backyards and getting custom pools in them. We created this page specificaly to showcast Coto De Caza private pool homes currently listed for sale. Note that, there's many neighborhoods in Coto de Caza who's home owners association ( HOA ) includes the use and maintenance of the community private pool(s). 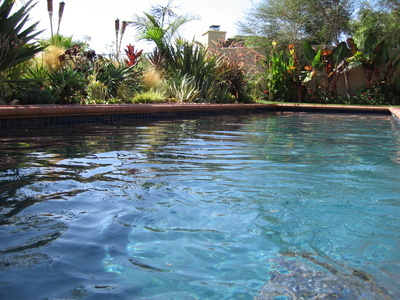 This page is intended only for those homes that have a private pool within their backyard, no HOA pools. Keep in mind that building your own pool in a home that has room for it, has it advantages as to getting it to your likes, but is also costly and time consuming, so when having a pool in mind, be sure to check out the homes where the homeowners already incurred in the expense. Search all Coto De Caza Private Pool Homes currently listed for sale in the MLS below. For more information about any of these homes, contact us by email or at (949) 888-6788. Read more about the Coto De Caza Houses for sale with pools. The high end communities of Los Ranchos Estates seem to have many homes with private pools so when the houses come in for sale, and if looking for private pools, be sure to check out those neighborhoods. All the communities in Coto de Caza share the community pools, so when looking for a home, keep that in mind, as building your own private pool in the house can be costly. OCExecutives specializes in real estate transactions of Foreclosures in Coto De Caza, California. Contact us today to sell real estate or buy real estate listed as foreclosures in the communities of Coto de Caza or for more information about any of these Coto De Caza foreclosures. If you would like to see a list of foreclosure homes in other communities in Orange County, follow the links above, or click here for other options within the Coto de Caza Real Estate.